We're live at Photokina 2018 - revealing everything you need to know about the show. Our time at Photokina 2018 is now over. What a year is has been, though, with the Cologne-based show packed to the rafters with photography goodies. There have been A LOT of announcements. From full-frame mirrorless beauties to medium-format wonder, with a few monster lenses arriving to grab the headlines, too. UPDATED: This is the place to find all the latest Photokina news and hands ons from the show. There were also a number of announcements pre-show and some surprise reveals just before Photokina. What we have done here is round everything (and there's a lot) up. Below you will find what’s been shown off already and all the exciting kit that's landed from the likes of Panasonic, Leica, Sigma and more. It’s all about new camera kit and who doesn’t love taking the wrappers off a brand-new toy to play with? What is Photokina 2018? “It’s the world's leading trade fair for imaging,” according to the folks behind the show. It’s a place where camera manufacturers show off the latest bits of kit to journalists, buyers and the general public. This year is the final year that the show is taking place in September. From 2019, the show will take place in May. When is Photokina 2018? 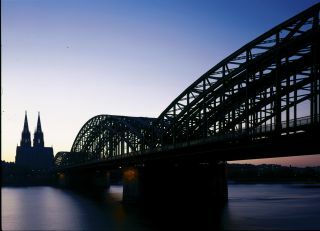 It takes place in Cologne, Germany, 26-29 September. Head to DigitalCameraWorld on the 25 September, however, as this is press day and when most of the big reveals will be, er, revealed. There's a lot to like about the Nikon Z6 - a camera that was announced before Photokina but made an appearance there. It's essentially the same camera as the Nikon Z7 but the sensor 'only' packs in around half the number of megapixels - 24.5Mp, compared to an impressive 45.7MP. The actual chassis is identical, bar the branding, and is significantly cheaper than the Z7, at £2099/€2399. Compared to the Z7's £3399/€3899 body-only price, that's impressive. Tamron's G2 lens line-up is now up to three and if the quality of the 15-30mm G2 is anything to go by, the company has some incredible optics on its hands. Tamron's other G2 lenses have performed superbly for us in the past, and we see no reason why this second generation 15-30mm will be any less impressive. The Leica S3 is a camera to lust after. It's not the biggest medium-format camera around but it has the Leica touch which elevates it above the others. Specs include a pretty tasty 64MP, 4K video and because of its heritage a pretty weighty price tag. But that doesn't stop you from wondering whether this is the way to go when it comes to pro cameras, instead of mirrorless. This is Leica’s second full frame mirrorless collaboration of 2018, and one of the unlikeliest yet. The team-up between Leica and Zenit has mean that the camera has been designed in Russia but will be assembled by Leica in Germany. It looks an awful lot like the Leica M, with a 24MP CMOS sensor and is limited to just 500 units. We've had a look at Fujifilm’s new medium format camera and our first impressions are that it is simply stunning. The Fujifilm GFX 50R promises the same level of image quality as the higher-end GFX 50S, but in a much slimmer body. It's also got as slimline price, too, which is just as impressive. The GFX 50S offers superb image quality, with a fantastic sense of space that you don’t get from smaller format cameras – it’s not just about the megapixels. The Laowa 24mm f/14 2x Macro Probe lens is a niche lens but one that helps you create fantastically unique shots. Yes, the 24mm Macro Probe is expensive but it's the sort of lens that will bring originality to your photography. Ohm and it's long, really long - deserving of its 'ant eater' name. Canon talked a lot about its full-frame mirrorless camera system at Photokina 2018. But this doesn't mean that it is not looking at the enthusiast market and trying to offer something special. And that's what it has done with the PowerShot SX70 HS. This is a camera that has a 20.3MP CMOS sensor, DIGIC 8 processor and 4K video - it packs a great deal of punch and has the same processor as the EOS R.
We got up close and personal with the $50,000 medium format powerhouse and it offers the ultimate in photographic performance at a mortgage-worthy price tag. It's bigger and bulkier than other medium formats on the market but it also serves a very different purpose. There is attention to detail here, and when it comes to the shots that detail is millimetre fine. This was one of the more surprising launches at the show. The Zeiss ZX1 is a full frame compact camera which claims to be as intuitive as a smartphone. It has an in-house 37.4MP sensor, a non-removeable 35mm f/2 lens (so technically mirrorless) and allows you to properly edit images in camera, thanks to Lightroom CC in-built into the system. This was the biggie and will probably end up being the star of the show. The Panasonic Lumix S1R and Panasonic Lumix S are Panasonic's first full-frame mirrorless cameras. Thanks to a link-up with Sigma and Leica, there are already a bunch of lenses available for the cameras and they come packing 47MP and 24MP respectively. The full-frame mirrorless camera market is now looking very full indeed! Leica is developing another medium-format camera, the Leica S3. Following on from the now long in the tooth Leica S2, the camera features a 64MP sensor, up for 3fps shooting capabilities and a whole host of new lenses. There's not much else to go on, but this is a big launch from Leica. Fujifilm has revealed a monster of a camera. The Fujifilm GFX 100S is a digital back that boasts a whipping 100MP - it's a variant of its GFX medium format camera that is all set to go on sale next year The price? Well, if you have to ask you may not be able to afford it. But it will hit shops in 2019 for a cool $10,000. For those who like their cameras a little smaller than medium format but still in the same category, the Fujifilm GFX 50R is a Super Full Frame camera that is a smaller, sleeker version of the GFX 50S. It's 25mm thinner and 145g lighter than its predecessor and comes with a new lens for the GFX mirrorless system - a 50mm f/3.5 lens. Price wise, you are looking at $4500, when it goes on sale in November. We've already delivered our initial hands-on verdict. Canon has managed to squeeze the same processor as the Canon EOS R, which is an impressive feat in itself and certainly makes this bridge camera one to look out for. Other specs include 4K video, built-in Wi-Fi and Bluetooth connectivity and a 10fps continuous shooting speed. We've had our hands on it at Photokina and delivered an early verdict. Ricoh has updated its modern classic camera for a new age, with the announcement of the Ricoh GRIII. The camera offers 24MP resolution, a fixed touchscreen LCD display and a fixed 18.3mm lens with an APS-C sensor. Given this range is over 20 years old now, it's great to see Ricoh offer up an upgrade. With genuinely remarkable resolving power and in-body Capture One integration, the XF IQ4 150MP offers ultimate photographic performance… though obviously, it comes with a mortgage-worthy price tag. We've already got our hands on it and delivered our first verdict at Photokina 2018. The GoPro Hero 7 Black is one of the biggest things that will be at Photokina 2018, but GoPro didn't want to wait till the show to show it off. Packing live-streaming capabilities and some decent software upgrades, it's shaping up to be the action cam to beat. The Leica Sofort instant film camera is the cheapest way to get yourself a Leica camera, given they usually run into the thousands. First launched in 2016 in fetching pale green mint, the camera is back in black for Photokina 2018. Fujifilm Instax Square SQ20 has arrived, offering up the ability to shoot and print 1:1 photos through the device. It comes packing 16 new filters and you can shoot mini bits of video on it as well. It's only available in the US at the moment but we're hoping it will make a UK appearance soon. The Vuze XR is a 360-degree camera that allows you to switch between 3D and 2D in a quick, one-click process. All you have to do is open and close the camera. Resolution-wise, the Vuze XR can shoot at 5.7K 30p or 4K 60p - for 5.7k you need to use the special software that comes with the cam. Samyang has revealed what it believes is the world's widest lens. The super-wide 10mm lens is designed for full-frame DSLRs – and has full-field rectilinear image. Given that lenses with this kind of focal length are usually fisheyes, there are some impressive specs on board here. As well as announcing a new 60-600mm telephoto behemoth, Sigma also bulked out its other lenses. These are for its Art, Sports and Contemporary collections and including the SIGMA 56mm F1.4 DC DN, SIGMA 70-200mm F2.8 DG OS HSM and SIGMA 28mm F1.4 DG HSM. Sigma has unveiled a beast of a lens, in the form of the Sigma 60-600mm F4.5-6.3 DG OS HSM. This superzoom offer a focal length that caters for the likes of wildlife, aviation and sports photographers. But it will also let you shoot more normal wider scenes without having to change the optics. Tokina launched its Opera range at Photokina with the Opera 50mm f/1.4' but it also teased us with what will be the second in this new range of high-resolution lenses for full-frame DSLRs. The 16-28mm f/2.8 is a Tokina classic, and we are excited to see this latest iteration when it arrives next year. What a show Fujifilm has had. Not only did it take the wrappers off a meaty new medium-format camera, the 100MP Fujifilm GFX 100S, and the slimmed down Fujifilm GFX 50R, it has also announced a slew of new GFX lenses. These include the 100-200mm Fujifilm GF100-200mmF5.6 R LM OIS WR, a Fujifilm GF50mmF3.5 R LM WR prime lens and the 100mm Fujifilm GF45-100mmF4 R LM OIS WR. Hasselblad has introduced three new lenses for the X1D-50c. The three new XCD lenses include the line’s fastest ever optic - in the form of the XCD 80mm f/1.9. All these models are set to arrive December 2018. With pricing ranging from £3,960 ($4,845) to £2,090 ($2,750). It had to happen: Panasonic, Leica and Sigma go full-frame together, taking on the might of Sony, Nikon and Canon. By pooling their expertise, it means that all three firms will be developing products for the Leica L-mount. This will allow photographers mix up their cameras and lenses at will. Give Leica is an expensive brand, the repercussion of this might actually be that you get those who can't usually afford a Leica product getting this expertise at a lower price. And it means Panasonic and the like now have the Leica seal of approval. Tokina has revealed that its latest lens, the Opera 50mm f/1.4 lens will be available from November and is a lens designed for high-end, full-frame Canon and Nikon DSLRs. It's an upgrade from what we usually see from Tokinas, with a ring-shaped ultrasonic motor driving its autofocus. This new lens range from Venus Optics looks rather tasty, with the 17mm f/1.8, 12mm f/1.8 and 9mm f/2.8 Micro Four Thirds Laowa lenses designed to to fit Olympus, Panasonic and Canon CSCs. It has also announced pricing for the weird but wonderful Laowa 24mm f/14 2x Macro Probe lens, which we've already had our hands on at Photokina 2018. Irix will be releasing its third prime lens at Photokina and this one is going to be a macro. Packing 1:1 maximum magnification, a minimum focusing distance of 0.35m and it has a detachable tripod collar. The Irix 150mm f/2.8 Macro lens will be shown off at Photokina 2018. The Sony FE 24mm F1.4 GM prime lens will be shown off at Photokina 2018 and it is a lens for full-frame mirrorless cameras. It has been designed with 13 optical elements in 10 groups It is due to go on sale in October, with a retail price of £1,450. An ingenious filter that combines a circular polariser with a variable ND filter with a four-stop range. A great idea for landcape photographers and for movie makers. British accessory maker 3 Legged Thing has come up with another quirky concept, a 'Zelda' L-bracket accessory for Nikon's full-frame mirrorless Z system. The bracket enables a tripod-mounted Z system camera to be quickly switched between horizontal and vertical orientations. Removeable storage has just gotten a lot bigger, thanks to Lexar revealing massive 1TB SD and microSD memory cards. They will be out early next year and offer a speed rating of 633x, and a data transmission of 95MB/s. The video speed rating will be V30. The Hahnel Modus 360RT is a mini version of Modus 600RT but it offers wireless operation and rechargeable battery, just like its bigger sibling. It will be come in Canon, Nikon, Panasonic/Olympus (MFT), Fujifilm and Sony versions. Broncolor has added the LED F160 to its range, a lamp that is designed to work in conjunction with other Broncolor lamps. Then there's the Broncolor Scope D50 - this is a ‘surface visualisation’ system, and was developed by Broncolor in conjunction with Swiss firm Truvis. ProGrade Digital revealed a new range of ultra high speed UHS-II microSD cards targeted at the latest generation of 4K action cam and drones. Boasting the highest Class 10 U3 speed class ratings, you can expect maximum read rates of up to 200MB/s and write speeds of 80MB/s. Nassari360 is a new bit of software that turns your images and videos into 360-degree ‘experiences’. This means you can embed images, audio and video into circular panoramic creations. The software has been created by photographer John Nassari and it is hoped that it will stop the stupid file sizes associated with 360-degree photography. Power on location? Yes, please. That's exactly what Tether Tools offers with ONSite Power - whether you go for the bundle or separates, this DC to AC solution means that your laptop, camera and monitor shouldn't run out of juice in the wild again. The Cotton Carrier Skout is the latest harness to secure your camera or, if you fancy, binoculars to your body. This is essentially for easy access and safe stowage. While some prefer to have their camera slung elsewhere, its makers will be hoping to convince the crowds when its shown off at Photokina 2018. Smartphone photography has rocketed in the last few years, thanks to phone cameras actually becoming quite decent. Phoneslinger has cottoned on to this fact and created a range of bags which are dedicated to the smartphone photographer. All of which will be shown at Photokina 2018. Not one to miss out on Photokina 2018 goodness, Lowepro has revealed its latest bags: the ProTactic BP 350 AW II and ProTactic BP 450 AW II range. Both bags have been designed for the on-the-go photographer and can fit two DSLRs, with lenses attached, up to eight lenses, laptop and other accessories. Manfrotto has decided that Photokina 2018 will be a good place to show off its latest range of travel tripods, with three new models catering to different needs and users. There's the 2N1 - an all-in-one support that can be changed into a monopod. The Befree Nerissimo that is made from aluminium and the Befree Live QPL which adds fantastic stability to shots.